Located in the heart of Perpignan, close to the old city center, this charming family hotel offers a warm and friendly atmosphere to all types of travelers. Shops, post office, pharmacy, as well as bus stops (including airport bus and train station) in the immediate vicinity. 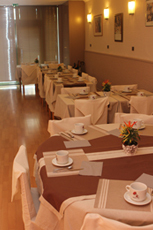 The hotel is free Wi-Fi and offers modern rooms and peaceful settings. Our rooms are air conditioned, equipped with flat screen TV with TNT and Canal+, full bathroom with bath or shower and toilet. Direct dial telephone is possible. Be aware that our hotel does not have room for guests with reduced mobility. For your comfort, the hotel also features a self-service breakfast buffet, from 7am tro 10am. And after a day of meetings or sightseeing, you can enjoy a drink in our lounge. 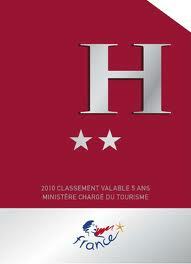 Hotel Alexander is an ideal base from which to explore Perpignan and the whole region. You will reach ski resorts in an hour and a half. The sea is 15 minutes away and Spain is 30 kilometers away. We do not provide parking, but you can park your car on the boulevard or use the public parking 50m away.